At Brandsport.com, we offer a wide variety of parts and accessories to enhance the quality and performance of your vehicle. K&N�s Metric Cruiser Complete Intake Assemblies are the perfect compliment to your motorcycle or show bike. Designed to provide increased horsepower and performance, these intake systems provide a significant airflow increase and a smoother delivery of air to the engine. 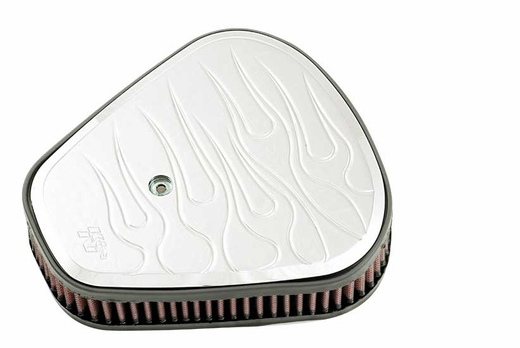 While they simultaneously boost performance, they also provide cleaner air to the engine, resulting in an increase in the quality and life of your motorcycle. 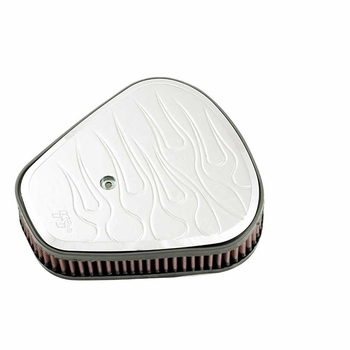 These Intake Assemblies are machined from high quality billet aluminum and are luster polished, and then chrome plated to provide a high quality look to your motorcycle. Providing your bike with the highest quality materials from an industry trusted brand is of the highest priority to us here at Brandsport.com. K&N has provided air cleaner assemblies and filtration systems that exceed industry standards for years, and we are proud to offer our customers K&N�s high quality products on our website for a reasonable price. Order an intake assembly from K&N and Brandsport.com today and provide your motorcycle with a quality upgrade.